One of my favourite ways to treat myself is to a new beauty box. Who wouldn’t want a fabulous little box full of beauty goodies!? 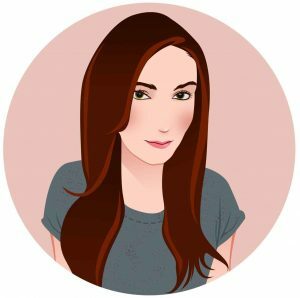 Birchbox is the number 1 beauty box in the UK. It’s a great way to receive products at a discounted price and to try things you may never have picked before. It is a monthly subscription service costing £12.95 (including postage) which can be cancelled at any time. I had never tried it before so I thought I would check it out. Upon opening the package, I received this beautiful marble patterned box, smelling divine. This is so cute! I am definitely going to keep this to store cards in. The quality is great. Inside were 5 different products and a leaflet giving details about each item. 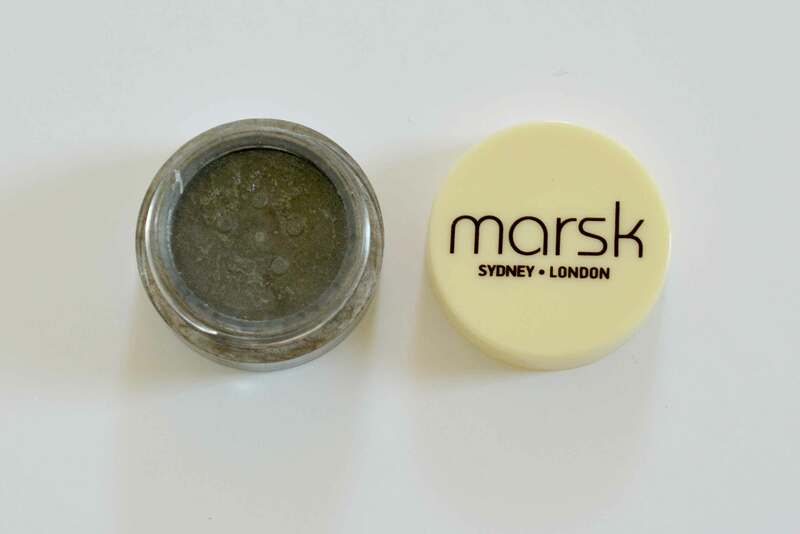 Firstly, I noticed the little pot of Marsk – Fifty Shades Mineral Eyeshadow. I had not heard of this brand before but the 1.2g pot is worth £14.29 alone, which is more than what I paid for the whole box! It’s a mineral eyeshadow – talc, paraben, fragrance and GM free. The colour is very dark and not a shade I have worn since age 12! I don’t think this colour suits me but I can pass it along to someone else who would appreciate it. Next was the Doucce Punk Volumizer Mascara. A full-size product would be £18. The size was not written on this product but it is mini. The brush is thick and short and the product smells pretty nice – not too chemical. I love volumising mascaras and I can’t wait to try this one! I received dr. brandt® PoreDermabrasion in a travel sized tube at 7.5g. This retails for £43 (60g) which makes this version worth around £5.37. This exfoliator with salicylic acid helps to refine the appearance of pores plus give them a deep clean and smooth the appearance of skin texture. This appealed to me as I’m not a fan of my pores but the smell was quite overpowering. The product that stood out to me the most was the Kueshi Hair Mask Shine & Volume with rice protein, jojoba & calendula (50ml). It claims to give shine and volume to damaged hair which is exactly what I need! I have been looking for a new hair mask, so this is just what I need. I’m really pleased with this item. It smells lush too. Retailing at £10.50 (250ml), this makes the travel sized version worth around £2.10. The texture is lovely too. It isn’t super creamy and has a gel-like feel to it. Finally, I got the Whish Rice Milk Firming Body Cream (22ml). This smells absolutely gorgeous, like a perfume. Some of my favourite ingredients are included (green tea, shea butter, cocoa seed butter) which is probably why I love it so much. It claims to smooth blemishes and give a firmer feeling. I’m very slim but my body is by no means firm and fabulous. Maybe this will help? The full sized product is worth £27 for 150ml, making this version cost approximately £3.96. In conclusion, the products I received are worth around £31 which is pretty good for £12.95. 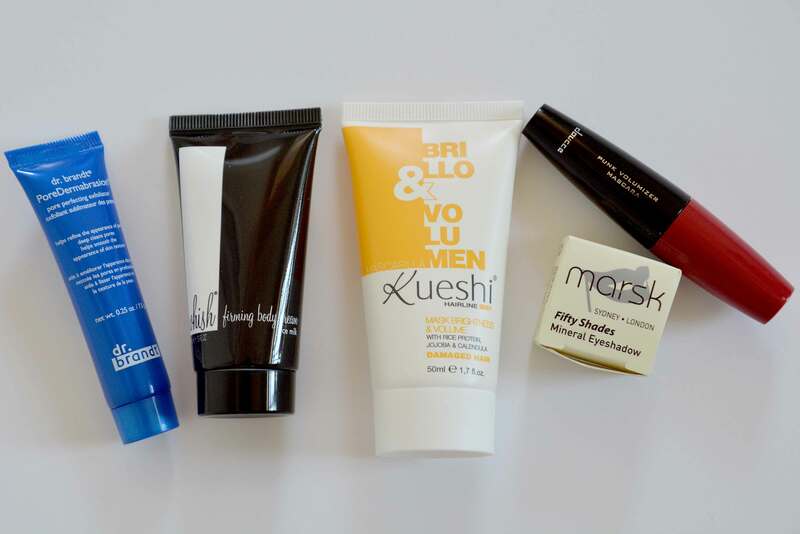 All of the products are available on the Birchbox website but unfortunately, most are out of stock. You get 10% off this month’s products as a subscriber. The only downside is that they aren’t widely available. I couldn’t find any on Amazon or many beauty stores in the UK. You just have to shop around. I would try a box again as it’s like getting a cute little beauty present each month. 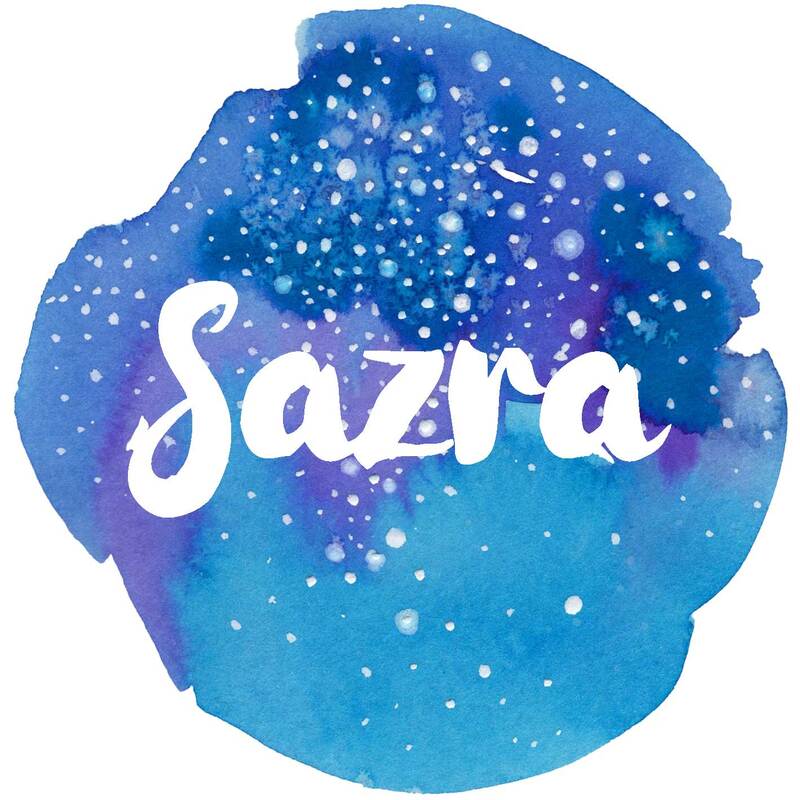 Let me know which products you have tried! Sign up to get £5 off your first box here. Previous Previous post: What Is Paperless Post? Ooh the mascara and hair mask sound interesting: would love to see a review of them! Although the Lee Stafford Coco Loco hair mask is incredible, and a slightly cheaper alternative! I’m forever looking at subscription boxes but find that there’s usually very few items that I would use, so I’ve never been able to commit to one. Maybe one day I’ll find the one for me!